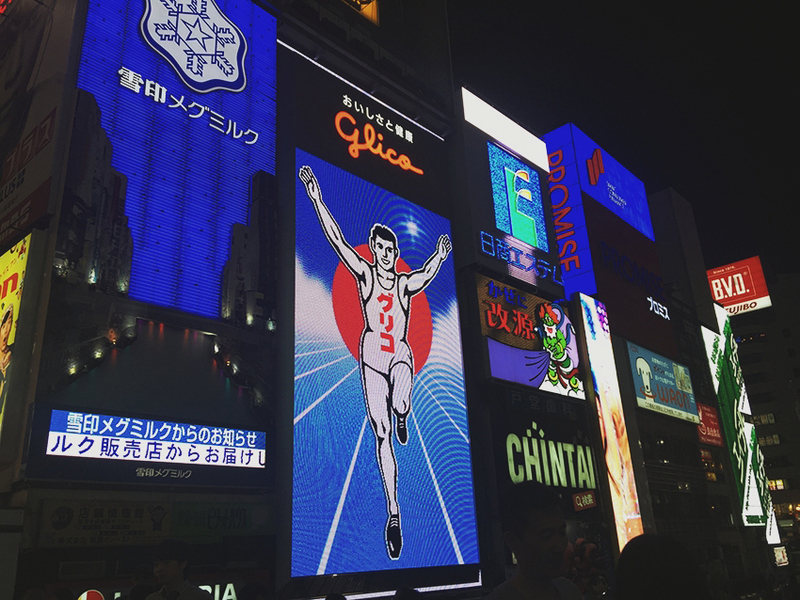 Once you walk into an open area and come across the large Glico man sign, that’s when you know you’re in Dōtonbori. 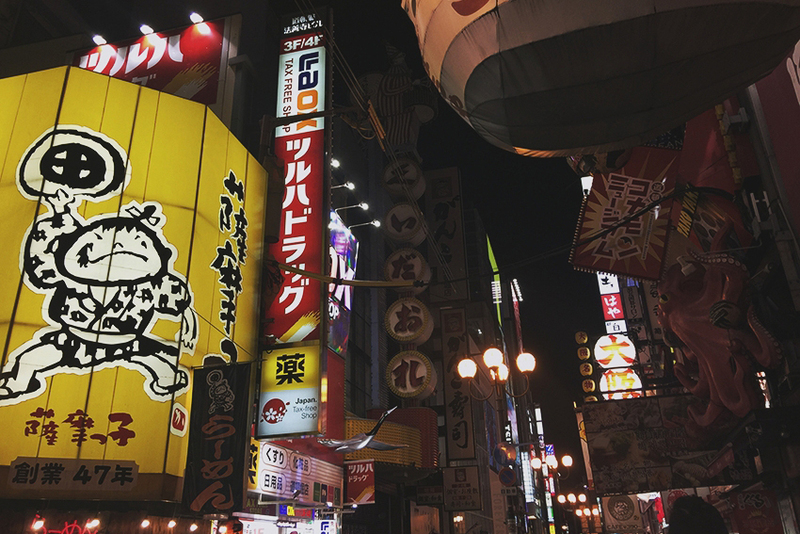 The greasy takoyaki and okonomayaki stands, throngs of people, steaming ramen restaurants, crazy fashion, and over-the-top outdoor decorations are just few that you won't get enough of when in Dōtonbori. There's literally a festival going on! They've got something for everyone and it never felt suffocating even with a large crowd. 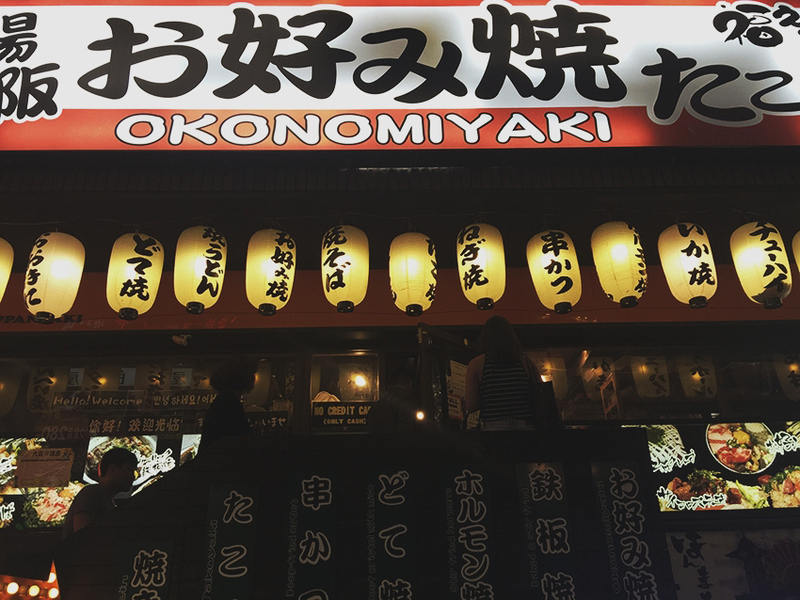 We happened to stop by at a restaurant to have a taste of the famous okonomiyaki (Japanese Pancake) and takoyaki for dinner. 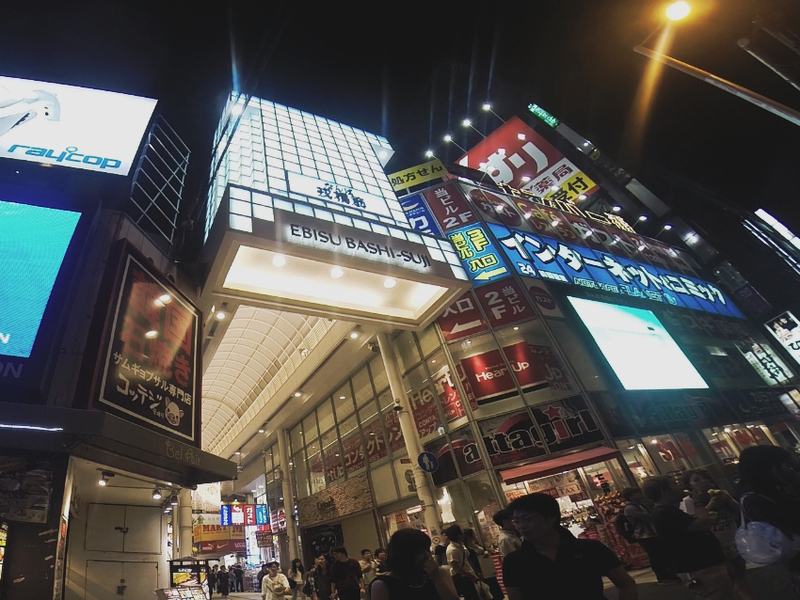 It took us much wandering up and down Dōtonbori to get to the right resto because there were quite a lot to choose from. 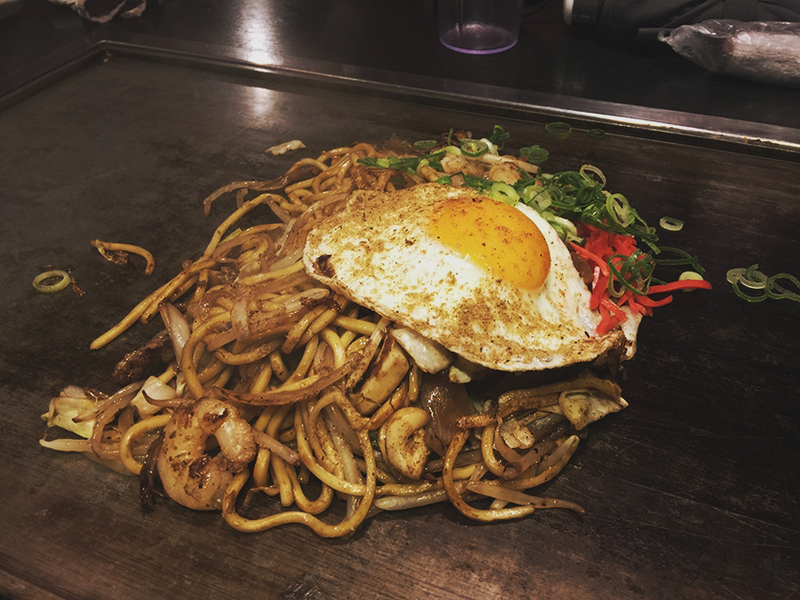 The okonomiyaki was brilliant–you'd have to choose your ingredients and cook it on your own. It was a smorgasbord of hard noodles and seafood tender, cut through by fried egg and okonomiyaki sauce. 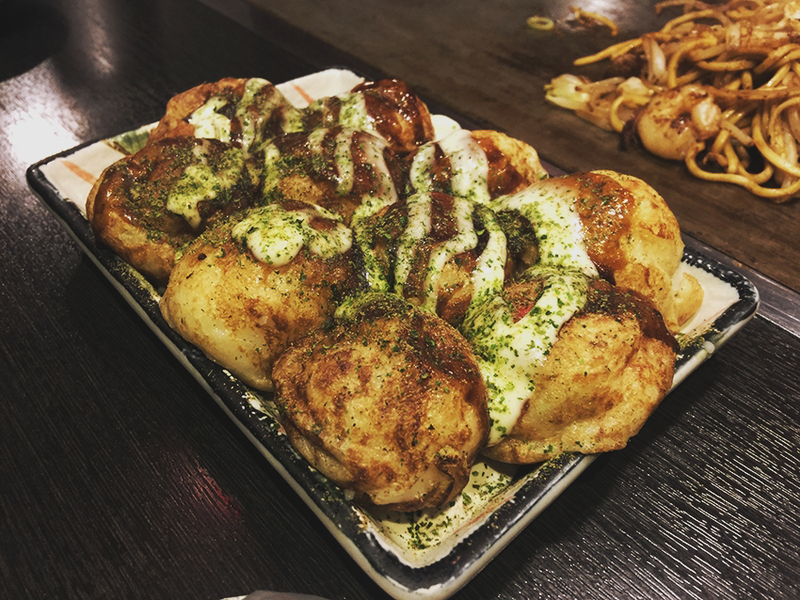 For the takoyaki, it's no big deal. If you aren't bothered by crowds, this place makes for a good night out. 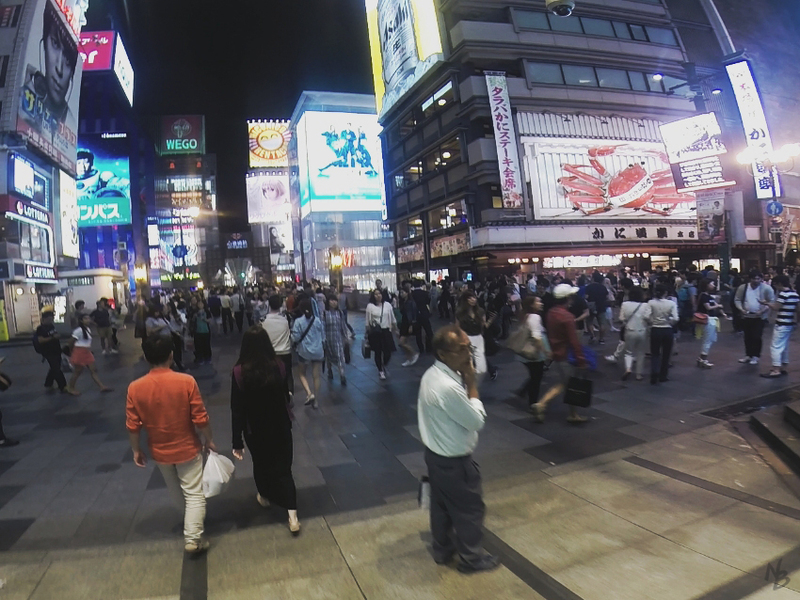 Just be wise in dodging tourist traps and hunt for anything that's cheaper. 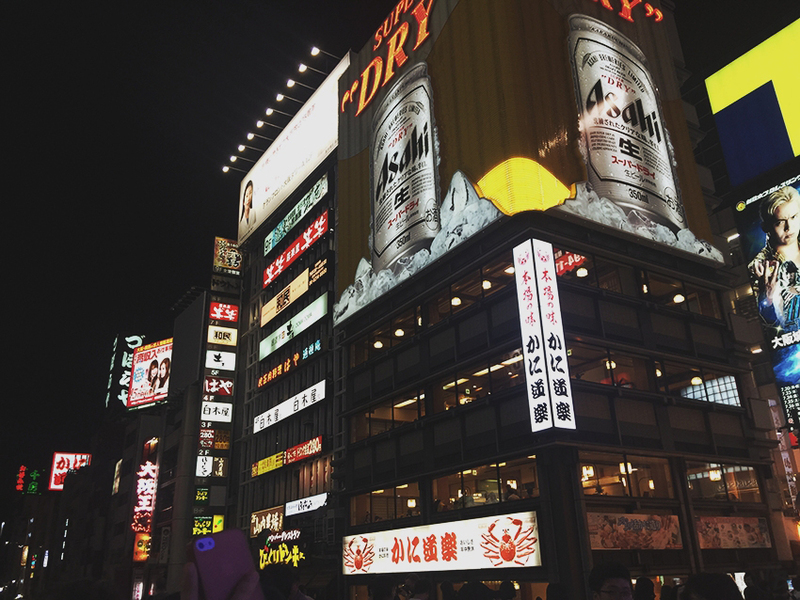 Whether you’re a tourist or a resident of Osaka, you just can't miss walking around Dōtonbori.